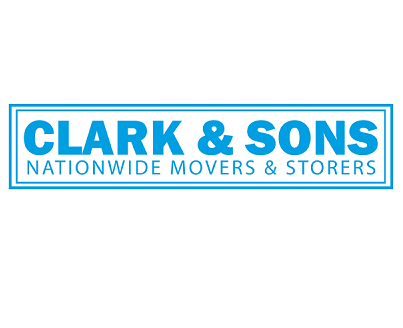 H J Clarks is a well-respected, privately owned removals company run by the Clark family. Through years of removals experience H J Clark have built a great reputation for providing their clients with the finest service at an affordable price. Our wide range of services and professionalism will take the stress from your move. Let us assist you with every aspect of your move, from packing to storage. We can provide local and European moves. We’ve been operating for over 100 years, proving a removal service in the Blackpool, Blackburn and Lancashire area. We’re now in our fifth generation and, although the property market and customer expectations have drastically changed since our beginnings performing moves with horse and cart, our exceptional level of service and consideration of our customers has never faltered. We’ll take the greatest care of your furniture and belongings, so you can take care of the more important things. Our name is long-established in the industry and all of our members of staff take pride in working for the Clark name. Our teams are fully trained in all aspects of removals, from packing to moving. We also offer a service to transport pianos, utilising the correct equipment and skill. It is our guarantee to you that your belongings will be delivered and unloaded securely. We have 3 packing options available. If your house move requires your furniture to go into storage for a period of time, H J Clark can offer an affordable solution. Our facilities are dry and alarmed for security. From your first contact with us to the last item being unloaded you can be sure of an excellent service that you would happily recommend to your friends and family. With an in depth knowledge of the North West, H J Clark can cater for all your removal needs whether a small local job or a large national move. I wholeheartedly recommend Clark & Sons for a house move. My move was stress free due to the 3 wonderful removal guys who although working really hard always had smiles on their faces. Very professional from start to finish. Very quick and efficient. Would recommend. Couldn't undertake the move on the date agreed due to a medical problem with one of the removals men. Came on a Saturday at 7.15am when it was agreed an 8.00am start. They were very quick but it seemed almost too quick as though they only wanted to work half a day. A floor lamp was broken in the process. Apart from that, the move went smoothly. Very helpful and accommodated picking up items from two houses. Quote was very reasonable. Mike was excellent and kept in touch via email.